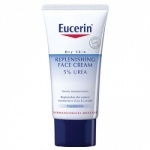 Eucerin Night Creme 5% Urea is an intensive overnight face cream for dry to very dry and tight skin. 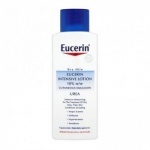 Enriched with Urea and Lactate, two naturally occurring compounds that bind in moisture, it instantly hydrates dry facial skin, reducing the feeling of tightness. 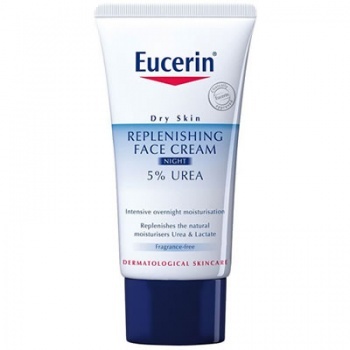 In addition to reducing roughness by maintaining skin hydration (rough skin is often caused by a lack of moisture), Eucerin Night Creme 5% Urea also smoothes the skin through the keratolytic action of Urea. 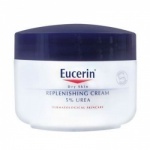 As it soothes dryness and reduces tightness and roughness, it is suitable for dry skin symptoms caused by conditions such as Psoriasis.